As Auto Remarketing reported, the July seasonally adjusted annualized rate for used-car sales hit the highest point for the start of a third quarter in six years. That sales pace Cox Automotive highlighted as well as the recent lane activity Black Book recently witnessed appear to be fueling a wholesale market turbine that’s pushing one of the industry’s benchmarks to a new high. Cox Automotive recapped that wholesale used-vehicle prices (on a mix-, mileage-, and seasonally adjusted basis) increased 1.51 percent month-over-month in July. Analysts explained the movement brought the Manheim Used Vehicle Value Index to 136.9, which represented a 5.1-percent increase from a year ago and the highest level ever for the series. Looking at trends in weekly Manheim Market Report (MMR) prices, Cox Automotive indicated that the abnormal summer bounce that started in June continued and strengthened in July. Over at Black Book, editors recently noticed how depreciation slowed again. According to the latest edition of Black Book Market Insights, a handful of cars are continuing to show some of the strongest one-month retention trends during July — a time when cars are historically supposed to begin seeing heavier depreciation heading into the late summer months. Volume-weighted, overall car segment values decreased by 0.22 percent last week, according to Black Book. In comparison, editors mentioned the market values had decreased by 0.25 percent on average in the prior four-week period. “Wholesale markets values are steady as dealers continue to stock up on inventory for used vehicles due to strong retail,” said Anil Goyal, executive vice president of operations at Black Book. On the truck side, Black Book’s volume-weighted information showed that overall truck segment values (including pickups, SUVs and vans) decreased by 0.15 percent last week. In comparison, the market values had declined by 0.26 percent on average during the previous four-week period. Black Book’s anecdotes from the lanes added further color to the numbers editors tabulated. Turning back to the Cox Automotive wholesale assessments, the Manheim data showed all major market segments saw price gains on a year-over-year basis in July. Compact cars and midsize cars outperformed the overall market, rising by 5.2 percent and 7.2 percent, respectively. Not far off the overall price rise were pickups (up 3.3 percent), utility vehicles (4.5 percent) and vans (up 3.4 percent). 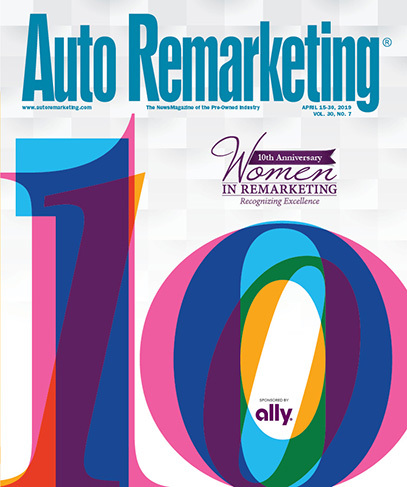 Even within the rental-risk space, Cox Automotive spotted how pricing strengthened. Analysts indicated the average price for rental risk units sold at auction in July was up 6 percent year-over-year and 1 percent month-over-month. Cox Automotive added that the average mileage for rental risk units in July — at 45,200 miles — rose 9 percent year-over-year and 6 percent month-over-month. Cox Automotive closed the commentary analysts shared with the latest Manheim Index update by trying to summarize what all of the unusual wholesale trends mean. “The strange summer price appreciation in used cars is partly a function of a strong economy at its peak, with mounting affordability challenges for the consumer that favor growth in used-vehicle sales at the expense of new,” analysts said. “These conditions have supported strong used-vehicle prices for over a year.